Medical device companies that sell or market their products in the United States may implement a Document Control System as part of a medical QMS that complies with the FDA's quality system regulations. In the quality system regulation of 21 CFR Part 820, the United States Food and Drug Administration (FDA) sets forth the regulatory compliance requirements for document control for medical device companies. Document controls are a set of procedures that allow a company to ensure its employees and regulatory agencies have consistent access to the most up-to-date quality documentation with respect to their product. Medical device companies can choose to implement a document control system to streamline compliance with certain aspects of FDA's document control requirements outlined in the FDA QSR. Document control software is used to automate and maintain document control procedures, store electronic documents of all document types, and establish an audit trail. What are the FDA Regulations for Document Control? FDA document control requirements are outlined in 21 CFR Part 820.40. Under this section, medical device companies are responsible for establishing and maintaining document control procedures for all documents that are also required by the FDA QSR. FDA mandates three specific types of document controls that should be employed by all medical device companies. A medical device company should designate a specific person whose role is to ensure adequacy of all documentation and execute approvals to be in compliance with FDA’s QSR. This includes implementing a framework to manage proper documentation of design controls, risk analyses, CAPAs, and all other ancillary processes that take place within one’s quality system. An electronic document control system can streamline the approval process by allowing the quality manager or another designated person to efficiently review and approve new documents in the QMS via electronic signature. This process is mandated by FDA’S guidelines in 21 CFR Part 11. FDA requires medical device manufacturers to ensure that the contents of their quality system are accessible whenever needed and always kept up-to-date. In addition, all obsolete documentation must be promptly removed from all points of use and otherwise prevented from unintended use internally at the medical device company. One of the most important features of any document control system is version control. It allows companies to ensure their working on the most up-to-date version, regardless of who has it.. Version control is considered a critical component of an FDA-compliant document control system or document management software. Documents must be initially approved at the time that they are included in the QMS, but what if that document is changed or revised at a later time? Under this section, FDA requires that a person in the same function or organization who initially reviewed and approved the document must review and approve any subsequent changes once it’s entered into the system. In addition, manufacturers must maintain change records that include a description of changes made to the document, approval signatures and dates, and when the change becomes effective. With a document control system, medical device companies can automate the production of a change record each time a document needs to be modified within the QMS. Greenlight Guru's Quality Management Software Platform is the ideal, purpose-built solution for the document control system needs of medical device companies. The platform offers built-in workflows to help companies achieve regulatory compliance, specifically with automation of key document control requirements and a streamlined approvals process. 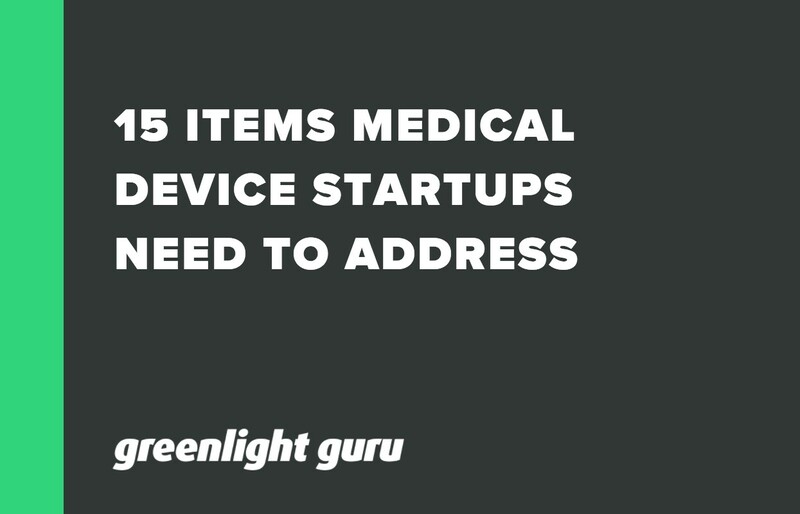 Here are 15 items medical device startups need to address early on as a best practice to ensuring FDA / ISO regulatory compliance. 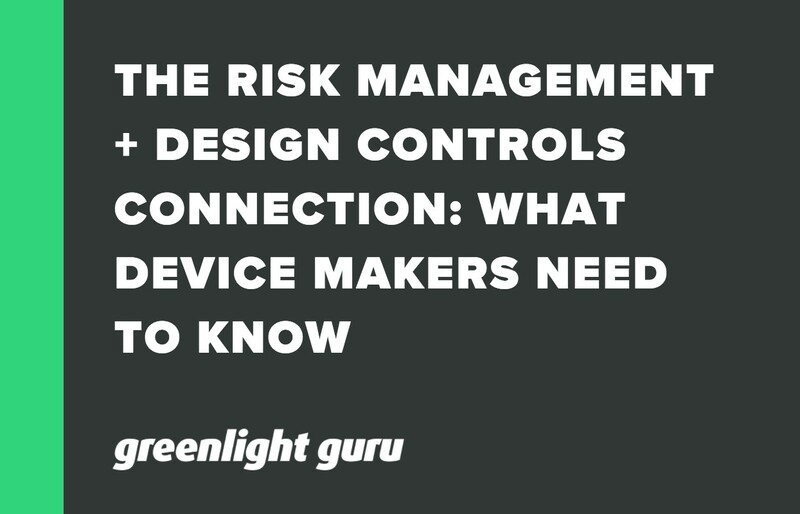 Everything device makers need to know about the Risk Management + Design Controls connection in medical device product development. 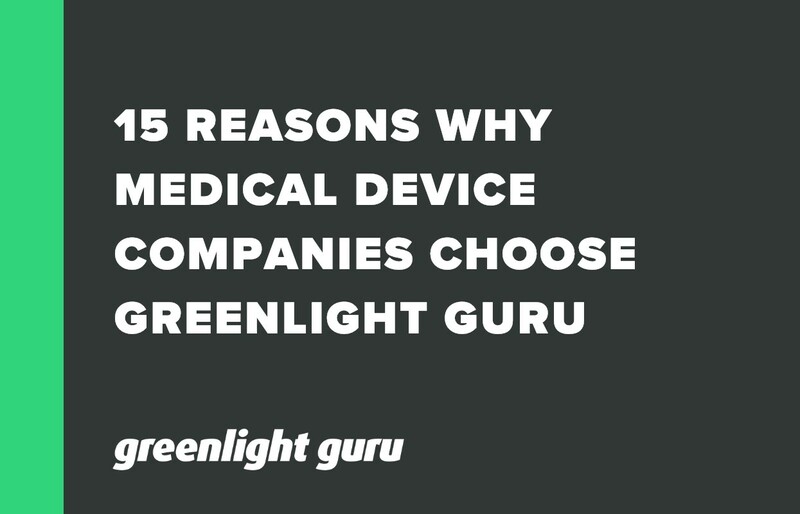 This eBook provides15 reasons you need a solution such as Greenlight Guru that provides built-in compliance provides traceability, takes little time to implement, and is augmented by experts with more than a decade in the medical device industry.